« I Know Nothing About Data Warehouse Appliances and Now, So Won’t You – Part IV. Microsoft takes over DATAllegro. As infrequently as I’ve posted over the last few months I’m sort of surprised I even have any readers remaining! I will be at OpenWorld and I’d love to meet up with as many of you as I can. I’ll be working the Oracle Demo Ground in Moscone North on late Wednesday afternoon and Thursday morning. Until that point I’ll be attending sessions and catching up with a lot of folks I only get to see at the show these days. Feel free to send me an email at the address listed in my contact section of the blog. If you are one of the people who like, or dislike, my positions on Fibre Channel SANS (i.e., the “Manly Man Series”), or want to talk more about why most Oracle shops aren’t realizing hard drive bandwidth, then send me a note and we’ll see if we can chat. I’m really looking forward to the show this year. There seems to be significant buzz about the show, as this ComputerWorld.com article will attest. Don’t forget to stop by the official OpenWorld Blog. So, what is the big announcement and what have you been working on for the past few months? 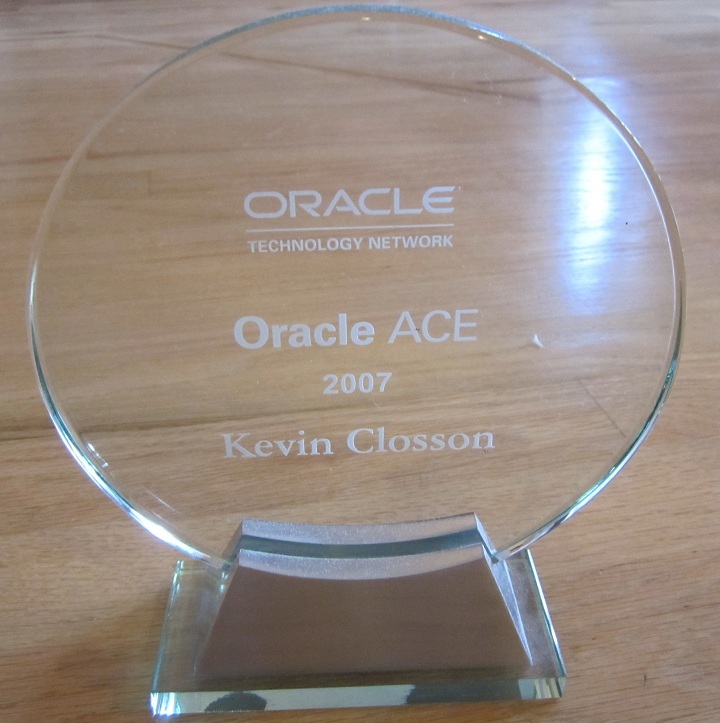 As someone new to Oracle, I have missed your highly educational blogs – hoping you’ll pick it up again after OOW. Cut me some slack. I haven’t blurted out what it is for over a year and I certainly don’t intend to now. My question was rhetorical – apologies if it never came across that way. Obviousy, I do not really expect you to disclose this information. Thanks for stopping by Brett. Oracle is coming out with a very pre packaeged offering with HP like IBM came out with BCU. Thats about it. It has no legs.Its marketing and only marketing. Thanks for that, DW, come back Wednesday afternoon and let us know how prescient you were today.